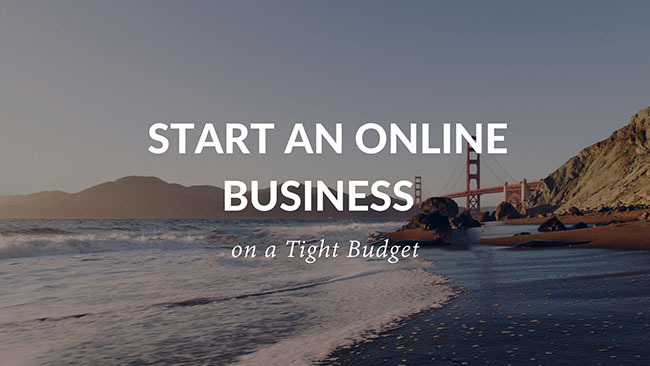 Launching a business online is a brave venture that can lead to success but the main factor is whether you are going alone on the path or there is someone to guide you. If you are going on your own then there are hesitations, lack of confidence and surely money. We are here to tell you some important tips where you will need less money and can prioritize your needs for creating your online presence. To launch website, start with creating your free website. You can start with creating a blogspot domain from blogger.com which is already free and is a Google product so you don’t need to worry about anything. After creating a blog get started by choosing a website template and then add your images and content. You are surely want to come up as a brand online so be prepared for the content that you want to showcase. Just do some work on your website about, contact pages so that people can reach out to you easily. Just make sure you must also has a social presence because from there your business will find a way to grow and expand. Getting your audience is the main aspect of any business. So in order to get right audience at your doorstep is to promote your business online on social media platforms so that your business can reach to the appropriate audience for whom it is created for. Facebook and Google are the two big platforms that you can reach your audience from. Create custom ads and showcase your website to the customized area of interested people. Say for example, you have created a online Health Products selling shop in US, so in this case you want your business to get promoted in US and to a certain age groups like 18 to 40 years of age persons. Investing money for building your empire is a good approach but you’ll have to save small bucks wherever you can for carrying out your dream. Just focus on what you need right now and cut off what is not required. You can also promote your business for a some days and then analyze if that promotion is worth or not and then you can have your finalized decision. In this order you can save money with optimization. Don’t spend your money in doing unnecessary stuff, you can ruin your website design. Here are some tips to how Design Fails and what you should not do. This is a obvious choice that building a business online doesn’t needs for a physical presence that means your office. So you can avoid having a office for now and can work from home until and unless you have a laptop and an internet connection. Having a website is not enough but you’ll have to analyze your website traffic source from time to time by Google Analytics tool. You must add the Google Analytics with your blog and track your visitors that from where you are getting visitors and on which page on your website they are most active. Gather the information from the Google Analytics and optimize your strategy. Understand the requirements of your customers and communicate with them so show that you are very proactive and easy to access. Be active on your social media as customers happily connect to the business on social media platforms. Emails are also a great and easy way to get connected. You can use Mailchimp to get your emails in your customers inbox on a regular basis. There are many people out there same as you, you need to find them and collaborate with them on certain terms. If you want your business to grow at a fast pace you need to join communities that are alike. Join some conferences, discuss the agenda with the people doing the same work as you. Always find your positive side and do what you’re good at. Just be a observer and observe yourself and your team mates that what are their big points and what they like to do. Delegate the work according to the interest of the people. You surely will get better and optimized results while launch website online. Pumped up to get going… Yeah that’s the spirit! Start from choosing the Blogger Templates for your website. If you are confused which template to go for, just ask us. We are very proactive. We have set of templates to go with specially for you.